Nova threads are PDO (polydioxanone) absorbable threads that are used for skin tightening and neocollagenesis. The threads originated from use during open from open heart surgery, and are now used cosmetically as a safe way to get an instant lift in the face or the body. Results are instant, with little to no downtime, treatment taking minutes up to only 30 minutes, and the results last at least one year. Threads absorb within 4-6 months and will not leave any scar tissue. PDO stands for Polydioxanone which is used in synthetic absorbable surgical suture used in many types of surgery. It’s one of the safest materials to be implanted in the body. Fine needles preloaded with these absorbable PDO sutures, are inserted beneath the skin and stay in place when the needle is removed. Your skin fully absorbs the thread within 4 to 6 months while your body creates its own collagen in its place. A thread lift is a minimally-invasive procedure done to correct sagging eyebrows and eyelids, aging neck tissues, and deep furrows between the nose and corners of the mouth, or “nasolabial folds.” It can add volume while elevating certain areas of the face and jowls. 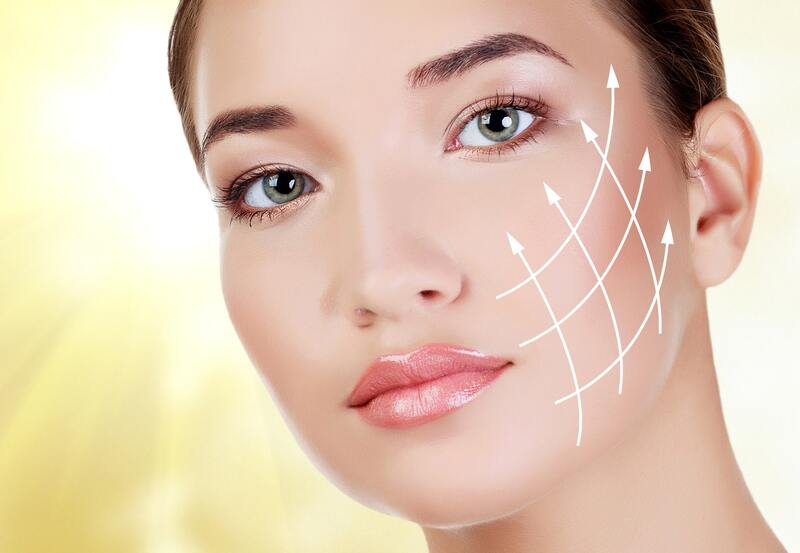 The thread lift is sometimes considered a precursory procedure to correct sagging until a standard facelift can be performed, or it can even be used in conjunction with a brow lift, chin lift, neck lift, or facelift to give more support to the lifted areas.